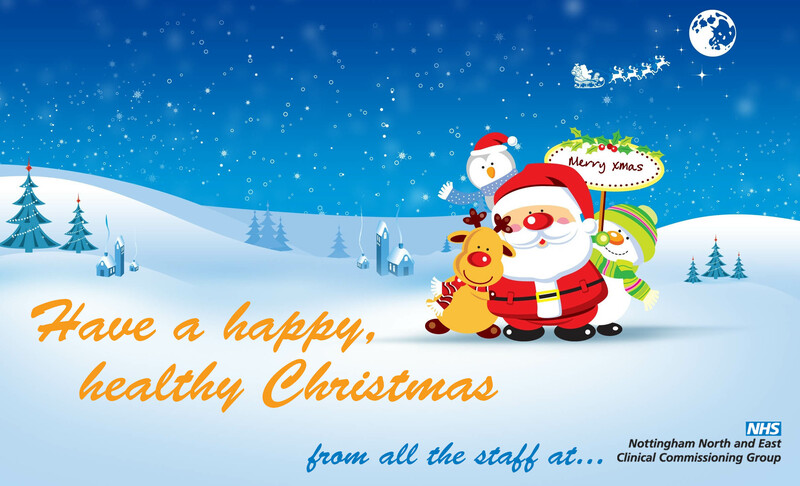 Nottingham North and East Clinical Commissioning Group would like to wish you a very happy, healthy Christmas. It’s such a hectic time of year that it’s easy to forget some important things, so here’s a few reminders.. If you need to see a doctor and your surgery is closed then call 111 – open 24 hours and can help you find the right service for your need. Make sure your medicine cabinet is stocked and check the sell by dates. Pharmacists are great! They can give expert advice on Winter nasties such as coughs, colds, sore throats, aches and pains, as well as healthy eating and stopping smoking. Each winter the mix of freezing temperatures, icy roads, festive get-togethers and a hint of overindulgence leads to dramatic increase in 999 calls for East Midlands Ambulance Service. Below are some tips to help you stay safe and well this winter. 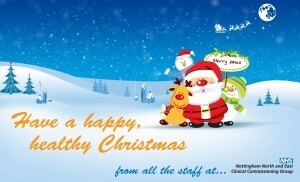 NHS Choices has lots of information about staying safe and healthy this Winter.